If espresso and cappuccino is where your coffee vocabulary begins and ends, it’s time to upgrade your coffee alphabet with Blue Tokai. 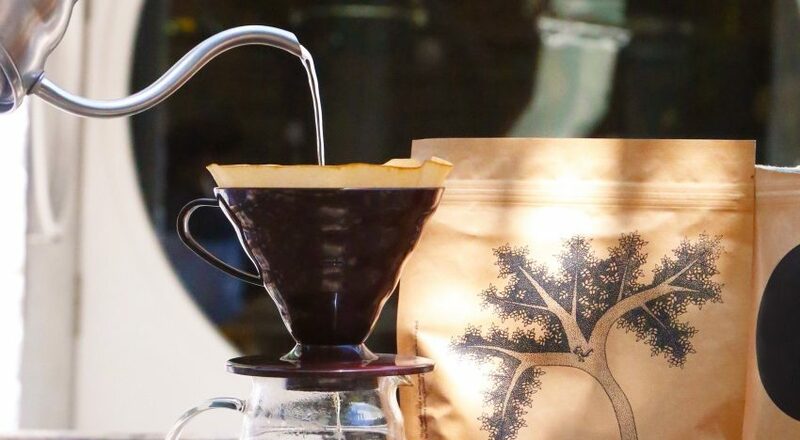 The Delhi-based cafe and coffee roasters specialise in single estate coffees grown at farms across the country and recently opened a cafe in Mumbai. One of the reasons we love Blue Tokai is because they stand for everything that larger coffee chains can never be – no instant coffee here, and they make coffee growing at single estates more sustainable by working with them – and offer premium coffee at almost the same price. Rhea Sanghi, the community manager at Blue Tokai, gave us a lowdown on all the terms that you will see on their menu. Single estate coffee comes directly from a particular farm. Different estates have varying altitudes, soil conditions, varietals and processing methods which contribute to the flavor of the coffee. Single estate coffee allows you taste the unique flavor of the estate as opposed to bulk coffee where many estates are mixed together. It also allows traceability so the consumer can connect their cup of coffee to its source of origin and the growers get recognition for the coffee they produce as well. Coffee can be ground to suit specific brewing equipment. The correct grind of coffee is important because it allows for proper extraction during brewing. We suggest grinding your beans right before you brew your coffee since essential compounds leave the bean when it is ground. Coarse grind is better for a French Press because the coffee grounds don’t seep through the filter when the coffee is pressed. Instead, the grinds easily settle at the bottom of the press. A manual brewing press that uses pressure to brew a perfect cup of coffee. You can use an Aeropress in more than 20,000 ways and it is a very durable peice of equipment. We use the inverted method at our cafe and the coffee boats of a cleaner flavor than French Press coffee and has more body than Pour Over coffee. The French Press is a classic brewing equipment that will give you a consistent, heavy bodied black coffee. The body of coffee is a measurement of the thickness, mouth feel and texture. It’s created mainly due to the oils in the coffee and progresses from light to medium to full. The body of the coffee increases with the roast level before peaking at a dark roast and then falling as the roast progresses to French and beyond. Because body refers to how a coffee feels on the palate more colorful descriptors include syrupy, buttery, tea-like and thin. The second lightest roast after Cinnamon Roast. A city roast normally has fruity, acidic flavor tones. Automatic grinding is more consistent and less time consuming. A manual coffee grinder has limited adjustment settings. A regular manual spice grinder is not suggested since the blades of the grinder grind the coffee unevenly. A automatic or manual burr grinder is strongly recommended. Between the first crack and second crack, a medium roast retains the flavor of the roast better than a dark roast because unlike a dark roast it is not close to getting burnt. The term ‘acidity’ is used in the context of coffee to describe a number of characteristics including a range of fruity flavors. During the roasting process, we try to highlight and preserve the best mixture of naturally occurring acids, found in a specific coffee, as these are the compounds that contain the coffee’s unique characteristics. The darker the roast, the less acidic it’ll taste and vice versa. When sipping your next cup, observe the taste buds further up along the sides of your tongue to experience the citrus and berry flavors in your coffee. A variety of coffee that grows in specific parts of the world since it requires a certain altitude – over 1200 meters above sea level – to grow properly. Unlike its heartier, harsher tasting cousin, Robusta, Arabica has less caffeine content and more flavor. Most specialty Arabica grown in India is exported.